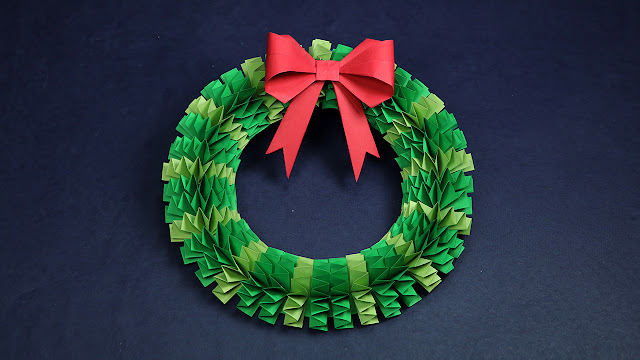 Did you realize that you can make Christmas wreaths at home with paper? You may make lovely paper wreaths with the help of accordion folding. You can easily do that activity at home and use such wreath in your DIY Christmas decorations. You will need red and green sheets, cardboard circle, glue gun, ruler, and pencil. Just follow the stepwise tutorial to make an accordion fold with green sheet by making concentric circles and cutting them as shown in the video.